Laptop is an expensive device and thus one needs to be very careful while buying it. It’s a onetime investment. Laptop is something which has become an important part of everybody’s life. Whether you are a student, a working professional or even a housewife, a Laptop is a must. A laptop is a most for everyone. Laptop Buying Guide - How to Find the Best Laptop for Your Personal and Professional Needs? The only difference is in the kind of laptop people buy. For instance, a student would prefer buying a cheap laptop while a business professional would prefer buying a laptop which would be loaded with a lot of applications. Depending on the use different companies have introduced different laptops. Every company will have at least fifty laptops to offer. Now you need to decide how to find a perfect laptop for your need. Doing this is not difficult. All you need to do is first make a list of all your requirements for which you are buying the laptop. Then you need to fix a budget which is willing to spend on the laptop. Finally you need to list down the options available and then by permutation, combination zero down one laptop. You should consider the following laptop buying guide points in order to understand how to find a perfect laptop brand according to your need. What is the purpose for which you are buying the laptop brand - do you want a laptop brand which would help you with your day to day work like internet browsing, preparing presentations, etc.? Where would you use the laptop- will your laptop stay at home or you would be carrying it to work? Now, let’s focus on these points which would help you to how to find a perfect Laptop for your need. What kind of a laptop would I require? Cheap Laptop - A less expensive laptop would be apt for people who like completing their day to day work but do not need to replace your desktop computer. These kinds of laptops would be suitable for students, beginners, etc. It’s also a good idea to consider a netbook if internet browsing is your priority. 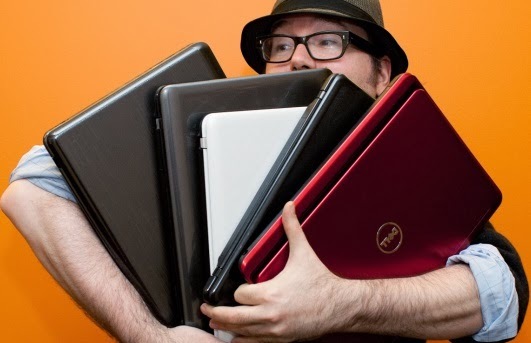 Family Laptop - Such laptop brands are capable of catering to the needs of a whole family. These models are not that powerful but just perfect for browsing the internet, completing the homework, sending the mails & using light applications like MS office etc. Laptop for replacing the Desktop PC - These are not so portable and are not so powerful also. But they are capable of coping with the basic computer needs. These are picked by people who just need a laptop to be kept at home and which they would switch on when their laptop is not in a mood to work. Ultraportable Laptop - these laptops are totally portable and thus are very light and thin. This category consists of the latest ultra-books. They are not only powerful but are also loaded with various features. They are professional laptops which are very much in demand these days. Multimedia Laptop - If you are looking for a laptop which could be used as a one stop solution for all your entertainment needs then these are the ones. If you wish to play games, watch movies, listen to music or edit videos, then these laptops would cater to all such needs. There are more than 10 best Laptop brands as mentioned in the list here and in all these brands, you can find a laptop as per your budget and needs.